If a company’s existence is measured by revenue, then its life blood must be how well it manages accounts receivable. Many business executives say that a sale isn’t a sale until the money has been collected. 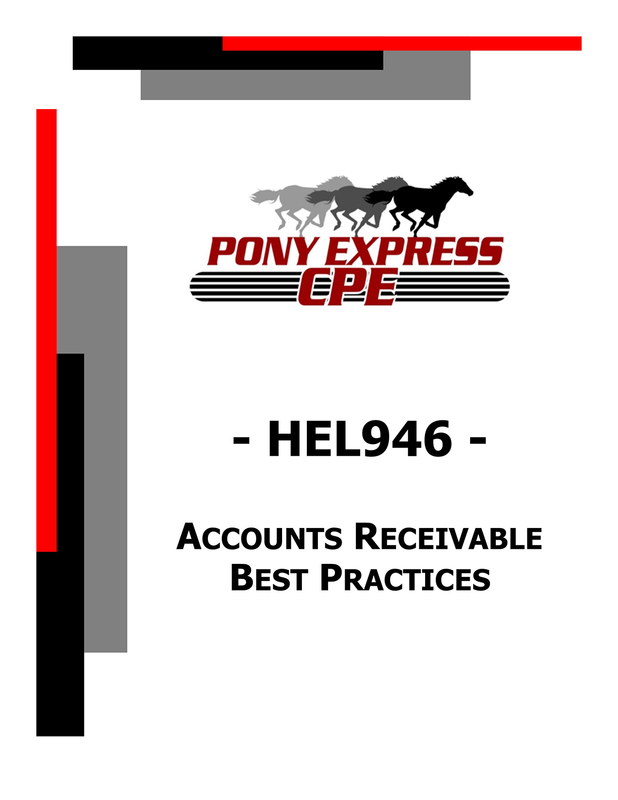 This course examines best practices in accounts receivable management. Accounts receivable management is associated with both credit and collections. These important functional areas work with sales as well as treasury and bank vendors to ensure the maximum realization of cash from sales revenue. This course explores each functional area, starting with the sales function, and the best practices that relate to accounts receivable management. Credit and collections will each be discussed followed by accounts receivable management administrative best practices, which will include portfolio review, internal controls and payment application. Banking best practices as they relate to accounts receivable management will be explored last.